Chevrolet Volt might be affected by the latest recall issued by Transport Canada. Certain units were accidentally programmed with inaccurate theft protection calibration files and daytime running lamp (DRL) during assembly. This flaw could enable motorists to turn off the DRL while driving, and could also allow non-dealership staff to program a replacement ignition key. Dealers will need to reprogram the body control module. 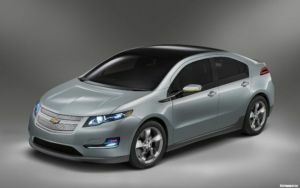 The recall will affect a total of 39 2012 Chevrolet Volt. Sundrop Fuels has acquired a land located near Alexandria, Louisiana, where it would build its first production facility that will produce the world’s first renewable, ready-to-use “green” gasoline from sustainable forest waste and hydrogen from clean-burning natural gas. According to the Colorado-based company, the new plant will be able to produce 50 million gallons a year. The plant, which will cost between US$450 and $500 million, will be partly funded via the sale of tax-exempt Private Activity Bonds. These do not involve any financial obligation from local or state authorities. The state of Louisiana has also offered the company with performance-based incentives for the plant, which will likely provide 150 jobs and have a substantial economic effect in the area. As a “drop-in” bio fuel, it can directly replace petroleum fuels. It is also designed to cost less than or as much as petroleum-based transportation fuels. Sundrop Fuels will convert cellulosic feedstock into synthetic gas using a gasification process. The synthetic gas will then be converted into bio-based “green gasoline” that can be distributed via existing fuel distribution infrastructure. 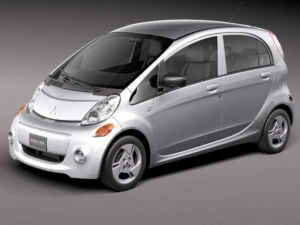 Canadians will soon have access to the 2012 Mitsubishi i-MiEV, which will be available for sale at dealerships in the coming few weeks. Presently, there are about 43 i-MiEVs in test fleets throughout Canada, which help to determine information on charging systems, batteries and how the vehicle will integrate with the electric grid. The i-MiEV is a four passenger subcompact hatchback with a top speed of 130kph and a range of up to 155km. The base model will start at $32,998, while the Premium Package will command a starting price of $35,998. British Columbia, Ontario and Quebec have announced subsidies towards the purchase of EVs at $5,000, $7,769 and $8,231, respectively. B.C. will also offer a rebate worth up to $500 on the purchase of an Electric Vehicle Charging Equipment (EVSE) system, while Quebec will offer a 50 percent subsidy towards the purchase and installation of a home charger to up to $1,000. Motorists can now take some of the stress out of a car collision thanks to a new iPhone application that provides them with all the necessary information, tools and tips they need in case of a crash. Unveiled by CARSTAR Automotive Canada, the Unhappen My Accident application can be downloaded from CARSTAR or from the Apple iTunes App store. This free application stores essential crash and driver information like emergency contact, vehicle and insurance details. There is also a button that displays the steps to be taken after a crash, such as taking pictures of the damage, recording crash details and finding the nearest CARSTAR location for necessary repairs. The iPhone app also offers 24/7 access to an experienced operator who can answer any questions and guide motorists through the process. “In our experience at CARSTAR, we know that even the most seasoned drivers can become flustered in an accident situation,” said Lisa Mercanti-Ladd, AVP of marketing and client services. “But the Unhappen My Accident app can be particularly useful to parents of young drivers. It can help mitigate many of the accident pitfalls young drivers commonly face, usually as a result of panic and inexperience, and potentially minimize the cost and aggravation for the driver, their family and insurance company,” she added. For every application download, CARSTAR will donate a dollar to a total of up to $10,000 to Cystic Fibrosis Canada. 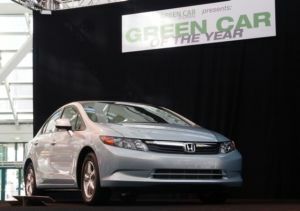 The 2012 Green Car of the Year, awarded by Green Car Journal, goes to......Honda Civic Natural Gas! The fifth generation of the model, the 2012 Civic Natural Gas is the only assembly-line produced natural gas passenger car for sale in the US. This brand new model is also the cleanest running internal combustion car certified by the Environmental Protection Agency (EPA). It was in 1998 when the model was first introduced for fleets. Currently, it is available in selected markets in the US. The Green Car Journal 2012 Green Car of the Year award was conferred at the recently concluded Los Angeles Auto Show. 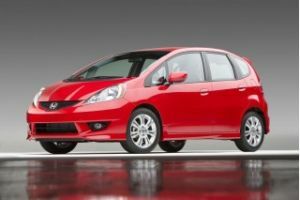 Honda’s all-new 2013 Fit EV, which debuted at the Los Angeles Auto Show, will be offered for lease in selected markets in Oregon and California next year, announced the Japanese carmaker. It will then reach six east coast markets in early 2013. 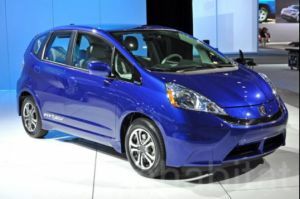 The Fit EV will begin at US$36,625 with a monthly lease price of about $399. While the carmaker will watch market acceptance, it expects that early volume will stand at about 1,100 cars over the following three years. The electric vehicle offers a driving range of around 198 km on one charge. It is powered by a 20 kWh lithium-ion battery and a 92 kW coaxial electric motor. Thanks to a three-mode electric drive system derived from the CR-Z Sport Hybrid, motorists can choose from Sport, Normal and Econ. General Motor is very excited to debut the all-new 2013 Chevrolet Spark at the Los Angeles Auto Show on Wednesday. The mini car is slightly different from the one that is already marketed abroad; its tail is stretched longer, the headlights sport a unique shape, and the nose was modified. Available in nine body colors, the Spark boasts customizable interior – an obvious sign that it will target young audience. 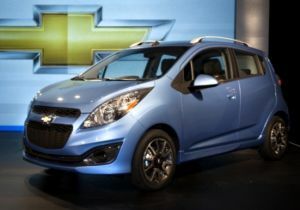 The 2013 Chevrolet Spark is powered by a 1.2L 4-cylinder engine rated at 81 lb-ft of torque and 85 HP. Standard features on the Spark, which will hit stores in mid 2012, include five-speed manual gearbox, 10 airbags, power windows and 15” wheels. The all-new electric sports car unveiled by Honda has made car enthusiasts throughout the world scratch their heads. 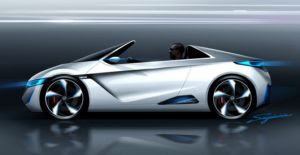 Honda’s “Small Sports EV Concept” is an open-top two seater car that offers a view on what next-generation plug-in performance vehicle could look like. 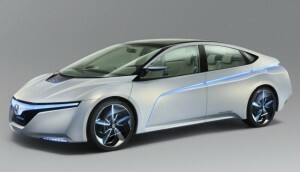 Honda executives, however, have provided few details about the new car. This prompted speculations as to where it may fit in the future line-up of the Japanese carmaker. Some says the concept will replace the S2000, while others suggest it is a new interpretation of the NSX. Others claim it is a rival to the Porsche Boxster, while some indicates that it could rival BMW’s forthcoming i8 hybrid supercar. The carmaker has said little about the car, just saying that it is “fun to drive while achieving excellent environmental performance”. The concept’s styling features some cues from the Civic Type R and the CR-Z hybrid hatch, which will be released domestically in the next few weeks. They include an aggressive front-end design with oversized intakes, broad tail-light assembly and sleek, slim headlights. Electric vehicles will become more accessible thanks to an all-new, affordable quick-charge station that will be launched by Nissan North America (NNA), in cooperation with Sumitomo Corporation. The DC fast charger will set you back a reasonable $9,900, which is one-third of the purchase price of comparable products now offered in the market. You can choose from an outdoor or indoor version, which both utilize a 480V electric current. Both versions will take less than 30 minutes to recharge the Nissan LEAF’s batteries to up to 80 percent. The quick-charge station will first be offered in the US. Thousands of these chargers are expected to be installed throughout the country, said Brian Carolin, vice president for sales and marketing at NNA. This will allow EVs like the Nissan LEAF to go farther distances. EV enthusiasts should look forward to the Tokyo Motor Show, as Honda will be using this event to showcase its three concepts that will catapult the public into a future where electric cars rule. The carmaker is set to reveal the AC-X plug-in-hybrid, which combines fuel-efficiency and performance and is ideal for both short trips around the town and long-distance driving. Depending on the mood, motorists can choose from two modes, allowing them to take a relaxed or aggressive approach. The Micro Commuter Concept is an urban vehicle that comes with a detachable battery, which can be utilized as a source of energy for everyday activities. The Small Sports EV Concept, on the other hand, will reportedly provide an idea of what future products from Honda will look like. In addition to these three concepts, the carmaker will also reveal some other two-, three- and four-wheeled cars that represent Honda’s future as a supplier of eco-friendly transport solutions throughout the world. Smart Canada has just concluded its National Smart Plugged-in Tour with the Smart Fortwo Electric Drive. 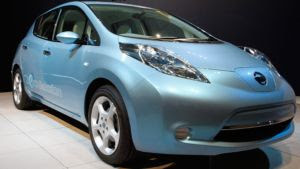 It is also giving motorists a chance to take home a 2013 model of the electric vehicle. The tour kicked off in Victoria, B.C. on June 17 and wrapped up in Sherbrooke, Quebec, after heading to the east coast and returning to Quebec to drop by at each Smart Center throughout Canada. Thanks to the tour, Canadians had the chance to test-drive the EV. Over 2,000 test-drives were taken over 8,000 km. Interested in Facebook updates from Smart Canada? Visit the networking site until December 31 and get a chance to own a 2013 Smart Fortwo Electric Drive Cabriolet. 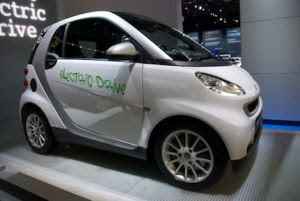 The Fortwo Electric Drive, which utilizes a lithium-ion battery, will hit stores in 2012.